"It has been so impactful to see how the Flatwater Foundation lives out two of our core pillars, Family and Philanthropy, by providing mental health resources to families affected by cancer. I am honored to support their mission by sponsoring Dam That Cancer." We are stoked to announce that four of our own KS Family are paddlers this year and we'd love your support! The best way to help is by making a donation to our team. 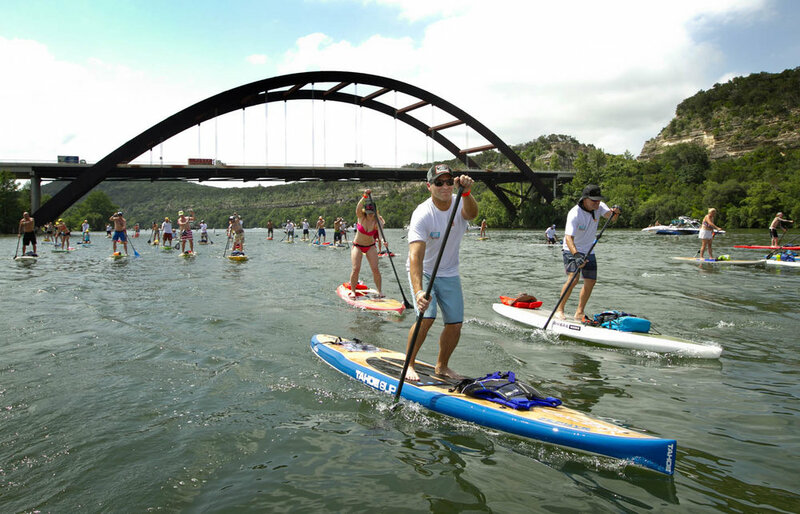 This summer, Flatwater is hosting the Dam That Cancer fundraiser, a 21-mile stand-up paddle and party on our very own Lake Austin. The June 25th event will display a powerful group of individuals showcasing their commitment to those impacted by cancer. They will paddle the entire length of Lake Austin for over eight hours under the hot Texas sun with each paddler required to raise $2,500 for Flatwater Foundation. Flatwater Foundation is an organization that we so are excited to be partnering alongside for the second year in a row! With their mission dedicated to providing those diagnosed with cancer, their families and loved ones access to mental health therapy and family support, Flatwater completely aligns with two of our core pillars: Family and Philanthropy.